Though I am a credentialed to cover Penguins games, I still maintain a season ticket package. I have had my seats in section E28 at Mellon Arena for over a decade. I was pleasantly surprised when I opened my relocation information that arrived this afternoon. The team did a great job of keeping my site lines. 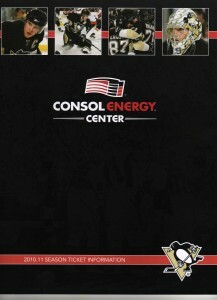 My seats were the third and fourth of their row in Mellon Arena and they remained that way in the Consol Energy Center. I think the biggest surprise regarding my relocated seats is that they are going to cost me significantly less than they did in Mellon Arena. I realize that the Consol Energy Center affords the team more seating, retail and food opportunities, but there was no way that I envisioned the seats going down in price. 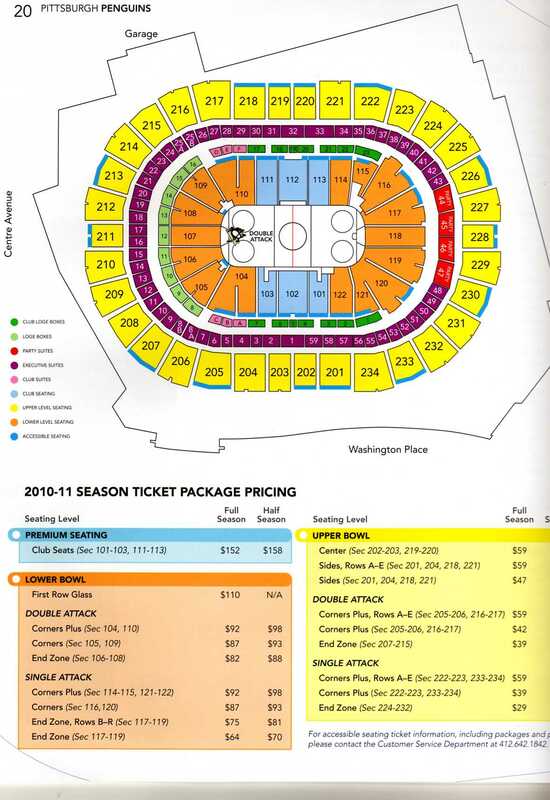 My E level seat in Mellon Arena was $41.50 for this past season, which translated into $83.00 dollars per game. The new seat was a much more manageable $29.00 dollars per game ($58) and from what I can tell, my seats aren’t the only ones that have gone down in price. My discount was a bit more than others in the building based on the fact that I am on the “defense twice” side of the building. The folks in the attacking end zone still received a break seeing their seats drop to $39.00 per ticket. While other areas saw their tickets adjusted as well. It seems that this time around the team priced their seats based on vantage point as opposed to a blanket pricing across a given level. 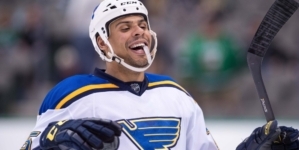 This will afford more opportunities for families to see games in a cost effective way. I must say that this is a huge win for the team. As I said, I never envisioned getting a discount to move into the new building. Especially considering all of the amenities that it will afford the throbbing masses. The new building will boast a variety of options for your enjoyment. 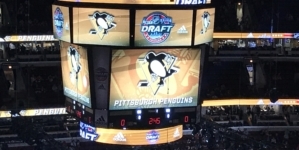 Things such as a fine-dining restaurant (fine dining access with premium ticket purchase) which will be able to accommodate 250 guests, the Highmark Wall of Champions which will honor all PIHL High School hockey teams, and the Highmark Kid’s Zone which which allows youngsters to take a break from the action before, during or after the Penguins game. Overall, it seems like the Penguins are doing this the right way. Rewarding their season ticket holders, while at the same time incorporating a number of things to benefit new fans. To put it in perspective… my E28 seat has been moved to section 224 in the new building. Good news for my family and friends that use my seats! Nice feature. I was pleasantly surprised with my seats too. Can’t wait to see the new barn! So now we have to sit in section 224 when we come over again Metz is that what your telling me? I’m jealous, haven’t gotten my packet yet, hopefully tomorrow. Unfortunately my C level endzone seats increased 62% from 53.50 to 87. and the next section over could see an increase of 69%. 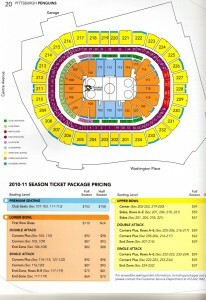 Weather you are in row B or Z they are still $87. Was hoping it would be more fair, like in NJ….